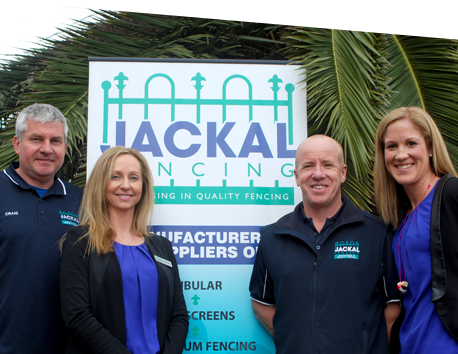 At Jackal Fencing we have built our business on excellence in customer service. We are passionate about exceeding our customer’s expectations whether you are a home handyman, a fencing contractor or a large reseller. Your referral and word of mouth recommendation is our greatest compliment. We have built a highly skilled team of locals who share our enthusiasm for service excellence and quality assurance. Our team will handle your new fence as if it’s their own! We are a “Family business” but with the knowledge and production capacity to service a broad range of clients. We take your satisfaction seriously. Our fleet of transport vehicles give us the flexibility to deliver on our “on time” promise. Contact us today to experience the Jackal Difference.